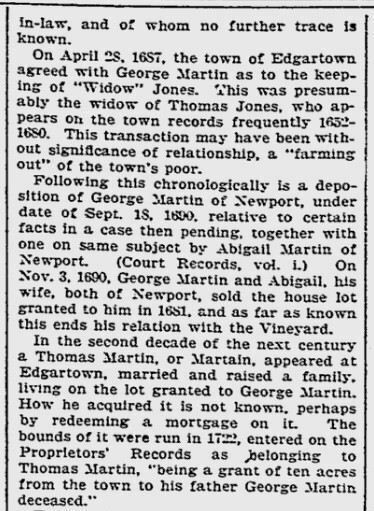 The Boston Transcript newspaper (or Boston Evening Transcript) is sometimes cited as a source of genealogical information about New England families. For a long time, I wondered about that. Eventually I noted some entries I wanted to see, and accessed it on microfilm at the Boston Public Library and more recently, online. 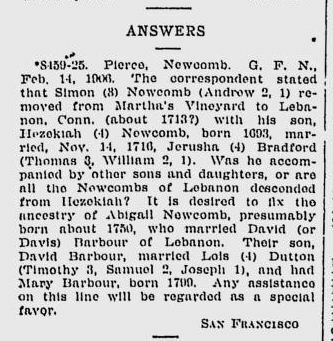 The Boston Transcript was a Boston, Massachusetts newspaper that regularly carried a page of genealogical questions and answers. That feature ran for several decades in the late 1800’s/early 1900’s. 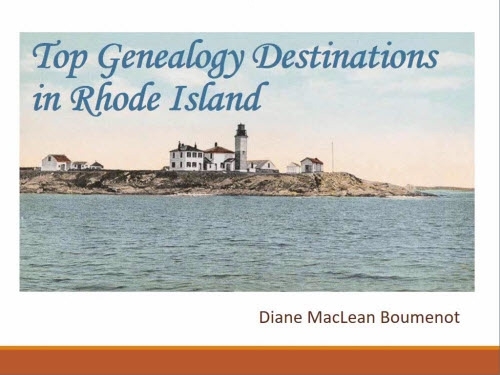 It is indexed in the books of the AGBI (American Genealogical and Biographical Index) published by the Godfrey Memorial Library (Middletown, Connecticut) and carried in many libraries that have significant genealogical holdings. 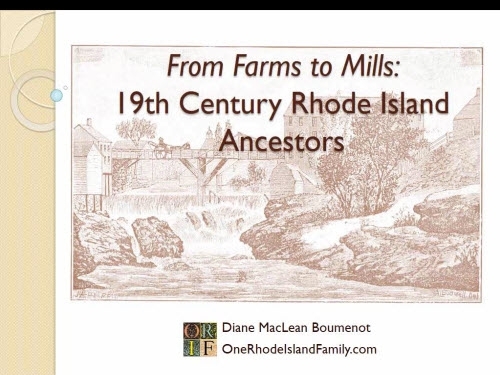 The AGBI, and therefore the Boston Transcript genealogy column, is also found on Ancestry.com, as an index only. The Genealogical section usually takes up one page, or less. Genealogists from around the country could subscribe to just the Monday and Wednesday papers if they chose. Many issues from the period 1873-1915 of the Boston Transcript are available on Google News Archives. Honestly, this looks so intriguing. Some of the entries were very long and informative. While the shorter queries and answers were not footnoted (by a long shot), sources were sometimes mentioned (such as “I saw in the Sudbury birth records …” or “Savage says …”). In the longer pieces, genealogical journals are often cited and longer quotes are sometimes given from wills and deeds. The longer Notes are often more like conversations among experts. The 1905 Facebook? Blog? RSS Feed? In many ways, the whole experience reminds me of the random connections one can make while blogging or otherwise communing on the internet. You never know what you will find, and if you can see a source, that can be a great clue. And even if it’s not your family, it can be fun to see what everyone else is doing. I think the experience of perusing it on Monday and Wednesday evenings must have been very similar to pulling up an RSS feed or a social networking page. Something to look forward to. 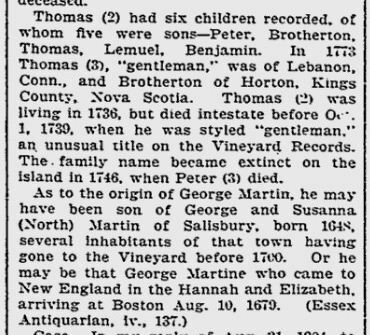 Just by randomly opening a few pages while writing this post, I stumbled upon some items of interest to me (above) and an article (below) about my ancestor Brotherton Martin, son of Thomas. I had already traced his unusual migration from Martha’s Vineyard, Mass., to Lebanon, Conn., to Horton, Kings, Nova Scotia in the 1700’s. But the article in the “Notes” section is a conversational speculation about the Martin family from someone who was clearly an expert. 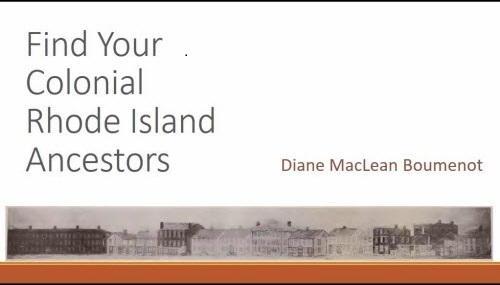 I had never noticed this article coming up in an Ancestry.com search; to see it, one must either link directly to the AGBI Index on Ancestry.com, or do a general search there and choose “Stories, Memories and Histories” and then “Family Histories, Journals, and Biographies”. 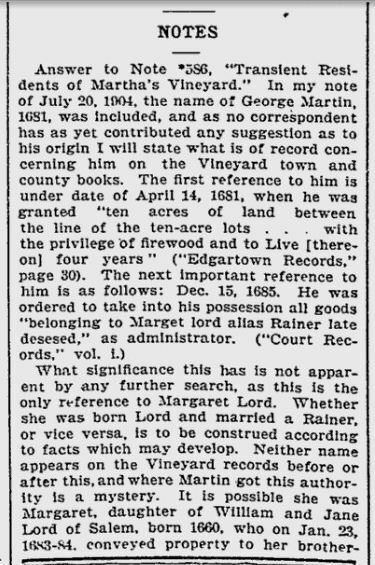 The Note is by “B.A.” – that doesn’t seem likely to be the Martha’s Vineyard historian, Charles Edward Banks – but maybe it is. 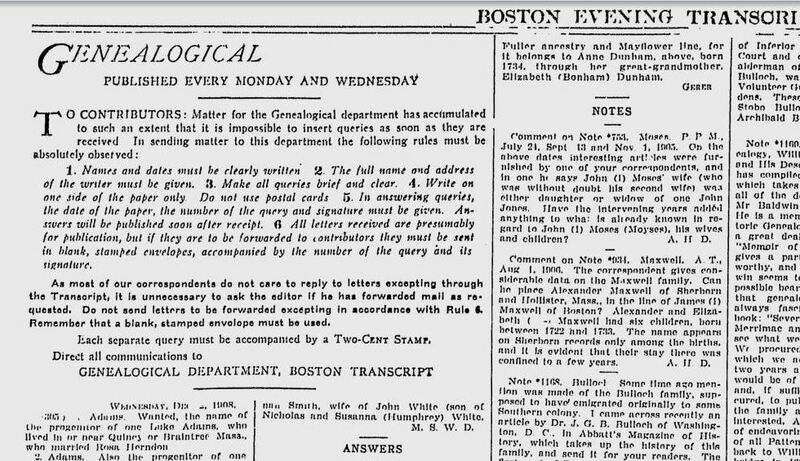 If you are anxious to get an entry that you’ve seen in the AGBI, but can’t find on Google News, the Godfrey Memorial Library accepts orders for Boston Transcript Genealogical column entries. They can be ordered for $10 each, use the form from this web page at the Godfrey Library website. If there are other sources, I will be happy to list them here in the future. and go to the bottom of that screen to click “View complete holdings.” A list will come up of various libraries that have the newspaper on microfilm. FamilySearch.org has placed some of the columns online, freely available, 1911-1940. Access them here. 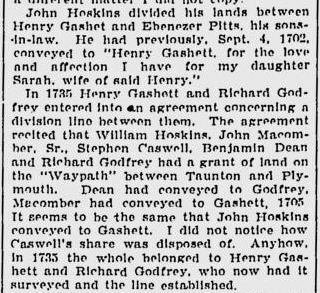 The earlier entries in that set are for normal marriage and death Notices found in the rest of the newspaper pages; not the genealogy column. Thanks to reader Mary for alerting me to this! Now that I know how to access the Boston Transcript from home, I’m going to use it more.